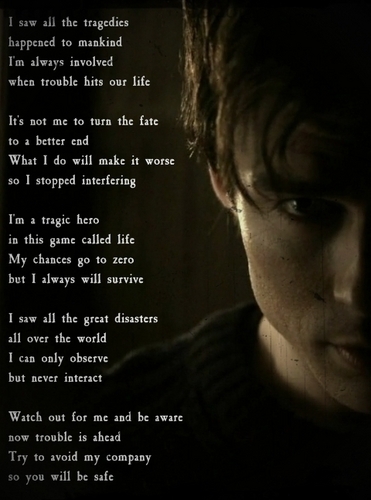 Damon Salvatore - Tragic Hero. Lyrics from the song Tragic Hero দ্বারা Funker Vogt.. Wallpaper and background images in the ডামন্‌ স্যালভ্যাতরে club tagged: damon salvatore the vampire diaries funker vogt. i like it, but is it suposed to be a poem?